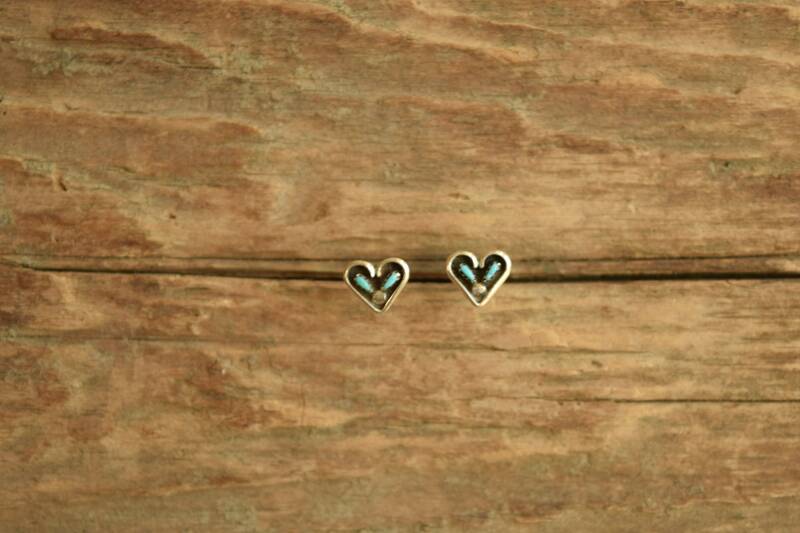 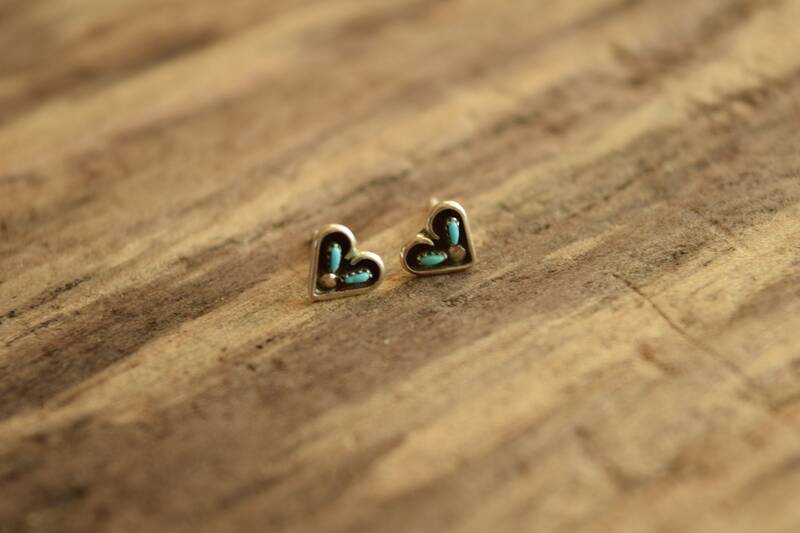 These heart shaped petit point turquoise studs are perfect for valentine's day or any other day of the year. 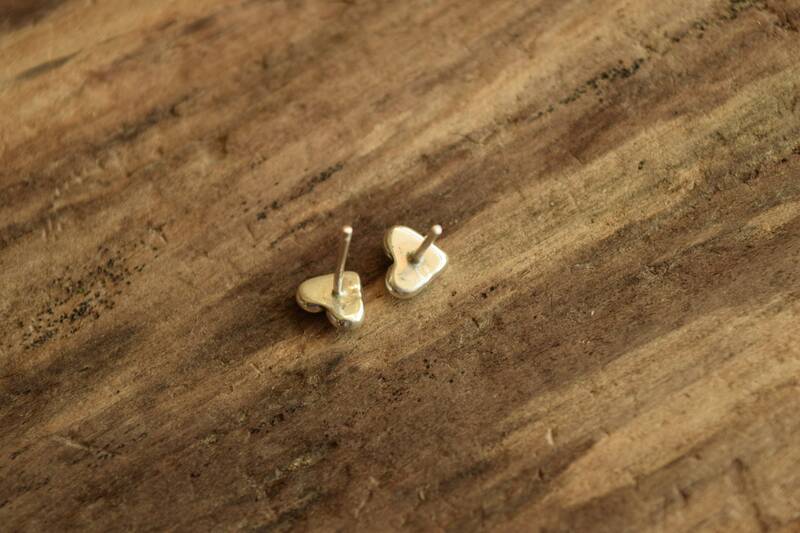 (like you'd need an excuse to rock earrings so cute!) 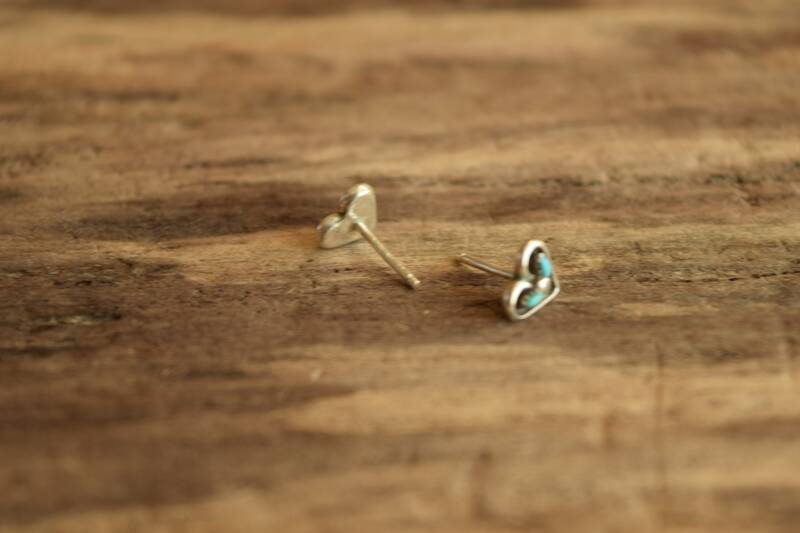 They each feature two small petit point turquoise stones and measure just a bit over 1/4 inch wide.